Global Affairs offers funding and resources that support the UC Davis community in achieving their academic, research, and service goals around the world. We partner with faculty, funding agencies, alumni, and leading global universities to enhance the university’s global presence. 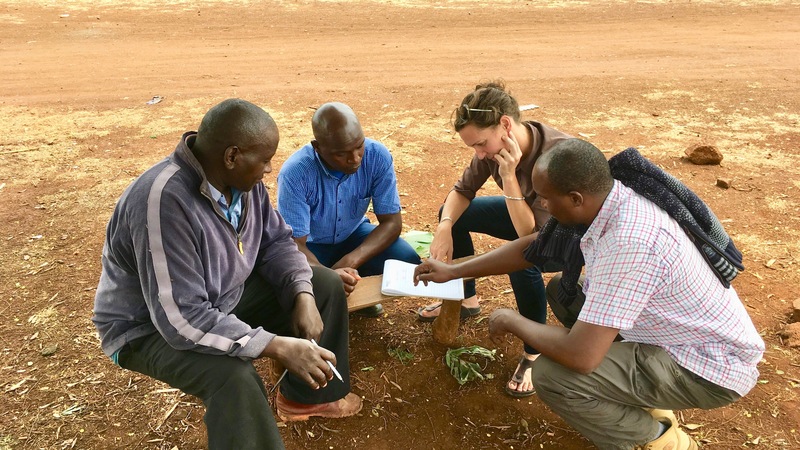 Carrie Waterman, assistant researcher in the College of Agricultural and Environmental Sciences, working on her Global Affairs Seed Grant for International Activities project in Kenya. This service is free to the UC Davis community and accessible while on campus. Financial Aid and Scholarships offers a list of scholarships for students to study abroad, as does Study Abroad. Graduate Studies, Office of Research, and Services for International Students and Scholars also provide varied funding opportunities and resources for the UC Davis community. The Fulbright Program offers funding for a range of research, teaching, and professional exchange opportunities in hundreds of countries around the world.